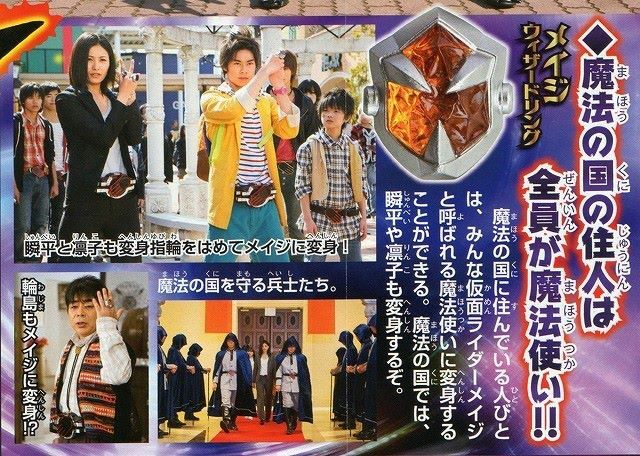 More info about the Kamen Rider Wizard In Magic Land movie has surfaced online and it has something to do with Magic Land's leaders, Emperor Maya (played by Shugo Oshinari) and Minister Orma (played by Takanori Jinnai). 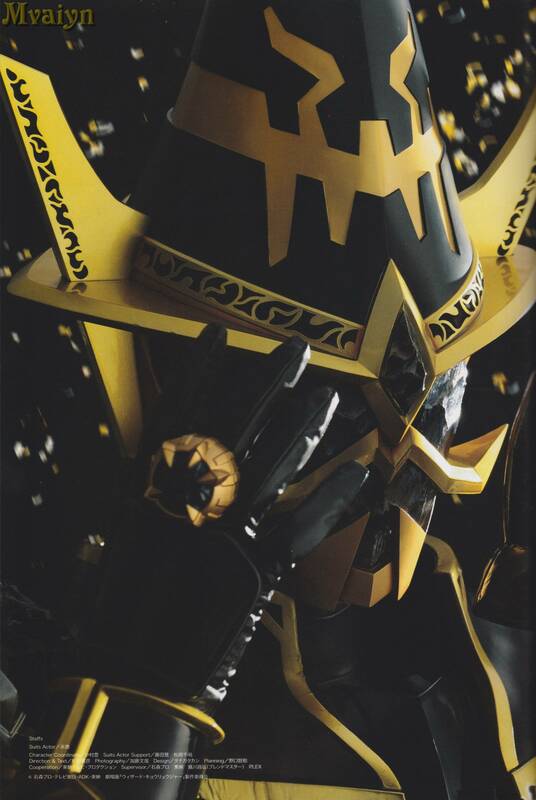 Emperor Maya is the Great Wizard ruling over Magic Land and he is loved its citizens. 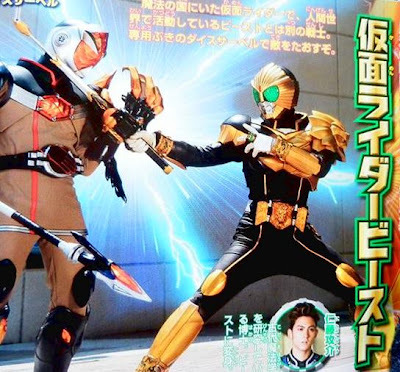 Knowing that Haruto is from a different world, Maya labels him as an invader and orders the Peaceful Magic Society to kill him at sight. 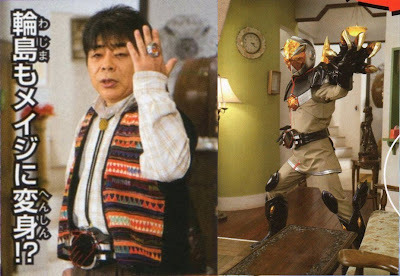 Minister Orma aka Kamen Rider Sorcerer served the previous emperor and now serves Emperor Maya. He is incredibly loyal to his nation. Despite his loyalty, he's disgusted by Maya. 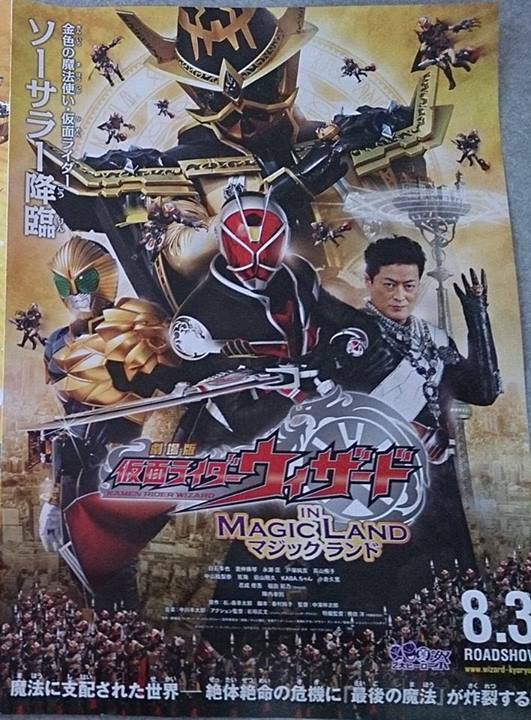 For some reason, the Phoenix Phantom is also in Magic Land. 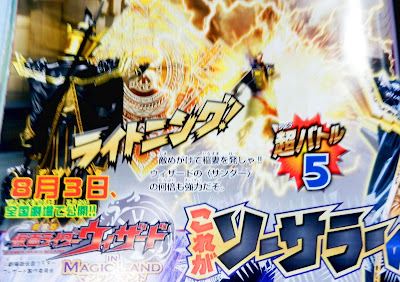 Kamen Rider Wizard In Magic Land is inspired by the Wizard of Oz, Lord of the Rings and Harry Potter and is written by Junko Komura and directed by Shojiro Nakazawa, it will be released this August 3. 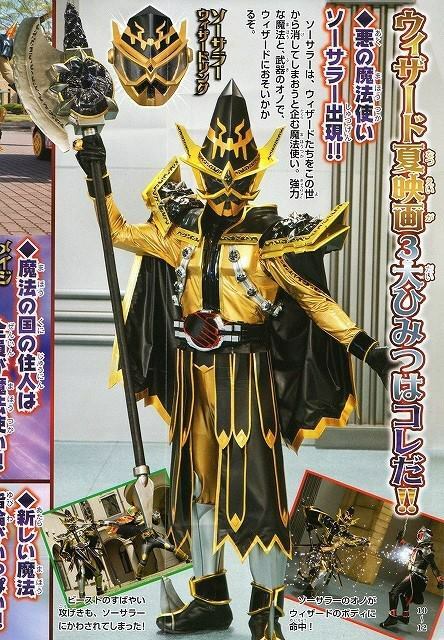 Ever since we got the first info on the upcoming summer film Kamen Rider Wizard In Magic Land, it is stated that Wajima will be transforming as a new Kamen Rider. Well, here's our look to it, Wajima transforming to Kamen Rider Mage. A few weeks ago, we saw Rinko transforming to Mage. 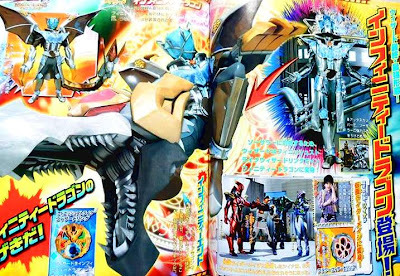 And just last week, as we get our first trailer, Shunpei and the donut guys, to much of Haruto's surprise, are the one transforming. 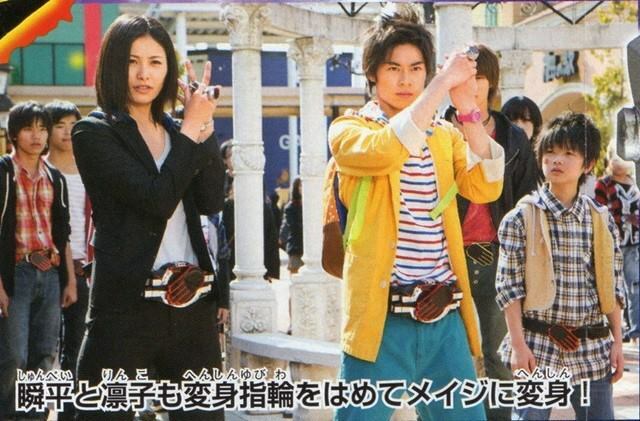 In Kamen Rider Wizard In Magic Land, Haruto and company goes on an adventure in the place called Magic Land, where anyone have an a bility to transform to Kamen Rider Mage. Here he met Emperor Maya and his trusty prime minister Orma. 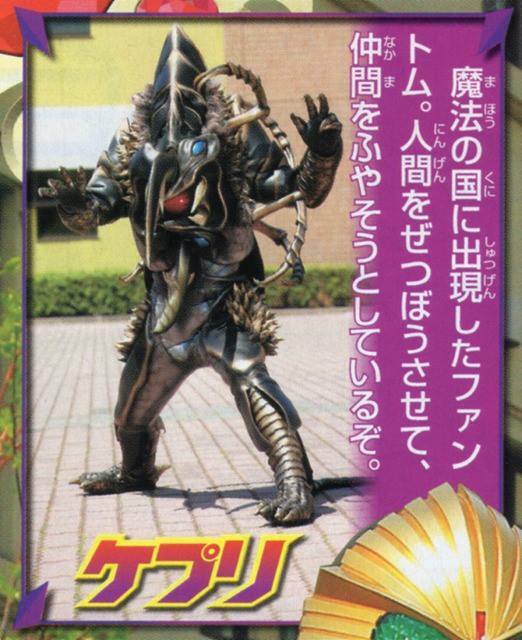 PM Orma is revealed to be Kamen Rider Sorcerer, who plans on recreating the world for magicians only. 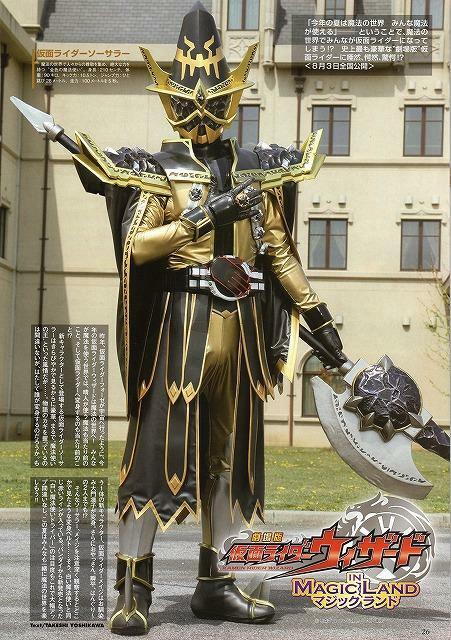 Can Kamen Rider Wizard defeat him before he invades the world? 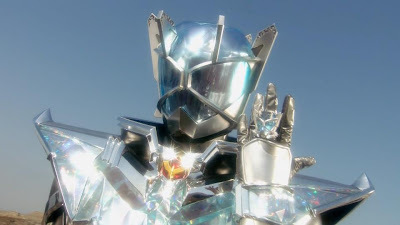 kann mir wer sagen, ob kamen rider wizard eine gute serie ist oder nicht? 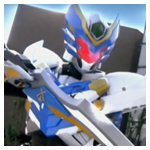 fourze und OOO haben mir sehr gut gefallen, genau wie double w.
Ich glaube die Frage ist recht schwer zu beantworten. Mir zb. Gefällt Wizard sehr. Die Story braucht etwas um richtig in Fahrt zu kommen. Bedeutet eine sich überschlagende actiongeladene Story, die eines nach dem anderen toppt wirst du in Wizard nicht finden. Eher ist Wizard eine "Ruhigere Staffel", die trotzdem eine gute Story, mit spannenden Elementen bietet. 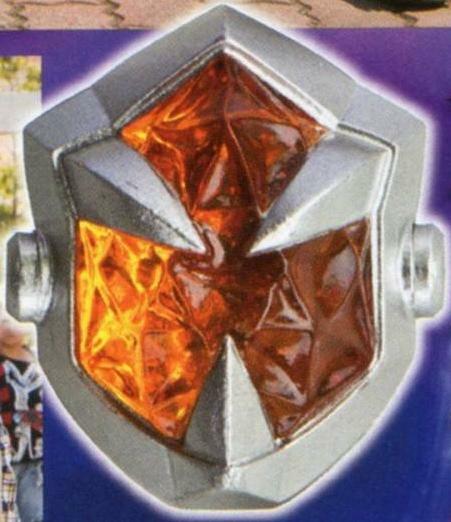 Da ich OOO nur teilwiese und Fourze nicht gesehen habe, kann ich da keinen Vergeich anstellen. Aber mir hat auch W sehr gefallen, falls dir das wieter hilft. Ansonsten ist es etwa mit dem Vergleihc von Eiern und Äpfeln, da di letzten Staffeln recht unetrschiedlich waren. 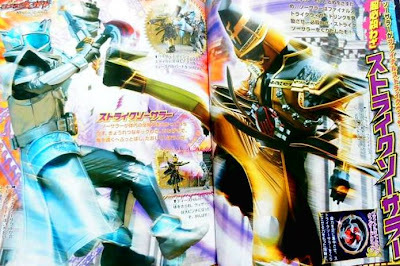 obwohl man vllt noch sagen sollte, dass, wenn du die Combos bei W, OOO und Fourze mochtest, die nicht bei Wizard finden wirst. Ich finde Wizard ist eine gute Staffel. 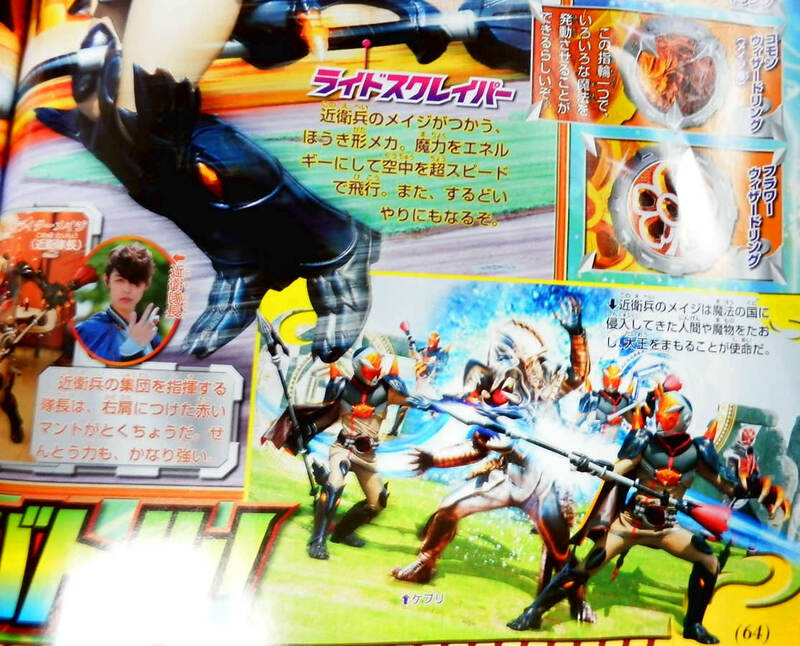 In puncto Story und Main Charakter besser als Fourze, aber nicht besser als OOO. Die Story geht wie Diam sagt langsam voran. Die Action Perfomance ist exzellent. 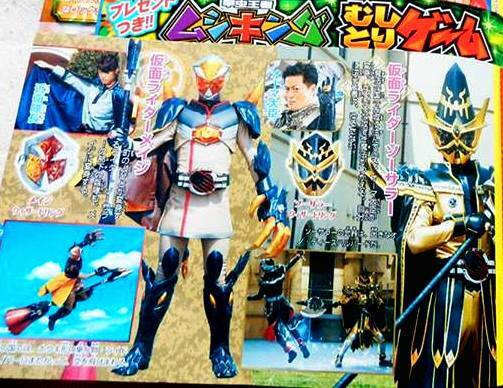 Die Formchanges erinnern an Kuuga, sprich Upgradeformen der jeweiligen Grundformen. Ich würde sagen du solltest die erstmal die ersten Folgen ansehen um dir ein eigenes Bild zu machen. Persönlch bin ich kein großer Freund von Wizard. Die Story kommt jetzt erst nach 38 Folgen wirklich an einen Punkt wo etwas passiert und auch die Charaktere haben bis auf Haruto keine wirkliche Charakter entwicklung. 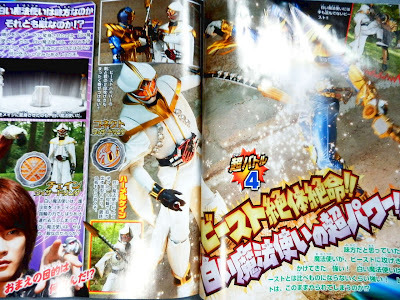 Das ganze ist halt sehr sehr episodisch und hat keine erkennbare übergreifende Story wie es Double,OOO und Fourze hatten. 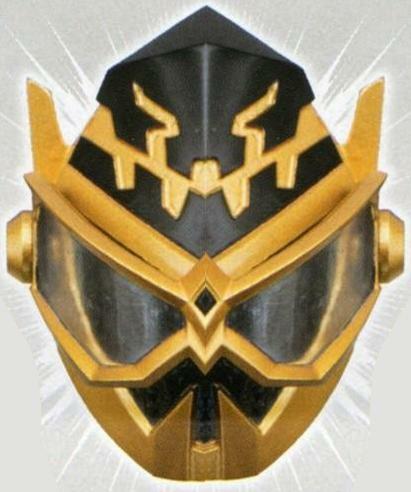 Wizard ist zwar immer noch deutlich besser als so manches in der ersten Heisei Era aber jetzt nichts wo man alles stehen und liegen lassen muss um es zu gucken. More info about the upcoming Kamen Rider Wizard movie, Kamen Rider Wizard In Magic Land was revealed in the 185th issue of Figure Oh. 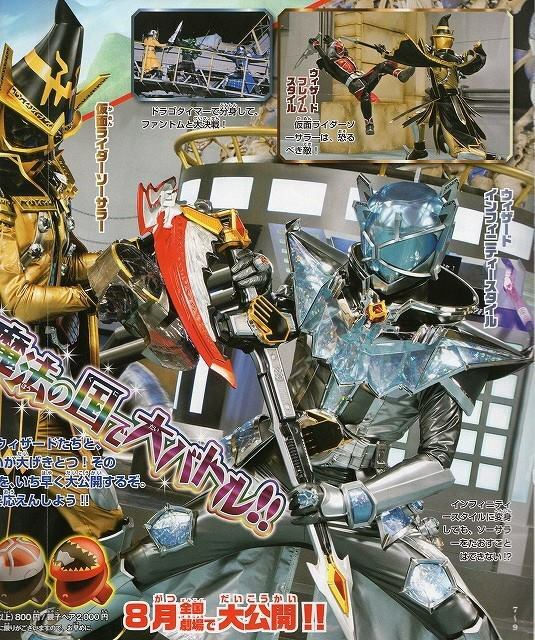 The issue revealed additional guest stars and the picture of the three head Phantoms together! 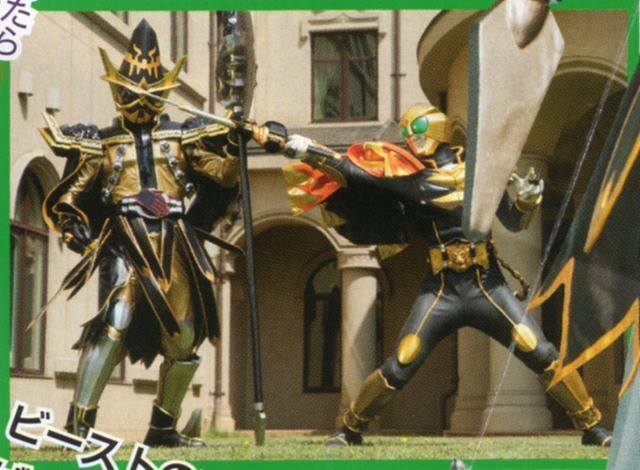 It was previously reported that Phoenix is still alive, but the bigger question is how the heck he ended up in Magic Land? Anyway, Ryuji Sainei who is best known for his role as Banban "Ban" Akaza aka DekaRed in Special Police Dekaranger will guest star in the movie. 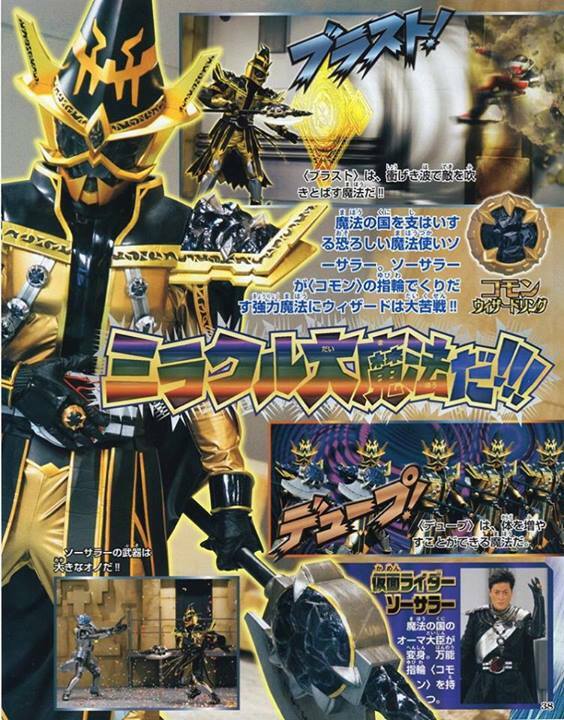 He will play the captain of Magic Land's Imperial Guards and can transform into Kamen Rider Mage. 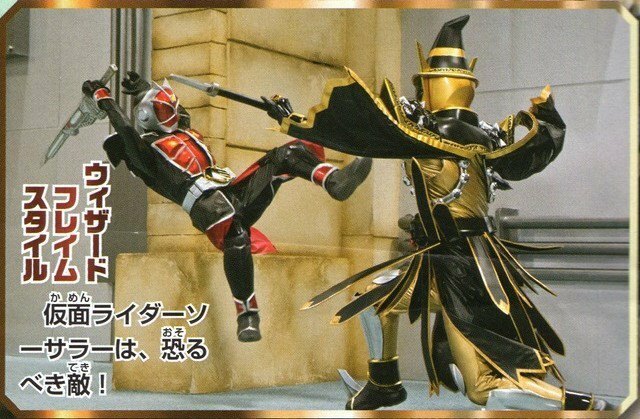 In the movie, anyone can become a wizard as Kamen Rider Mage but there's a twist, there are differences depending on what type of citizen you are. Captains and high ranked soldiers are equipped with a red cape on the right shoulder. 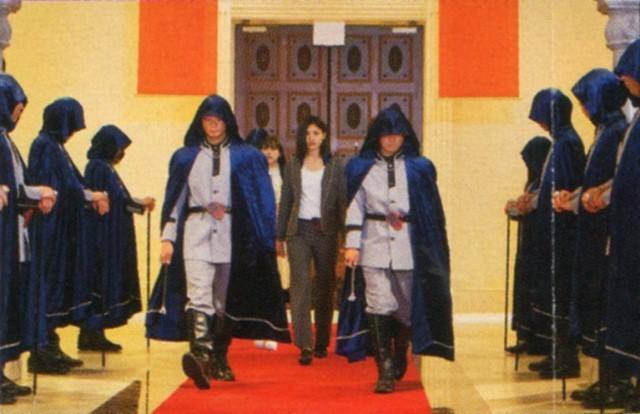 Regular soldiers of the Imperial Guards only have a yellow cape, while regular people have no cape at all. 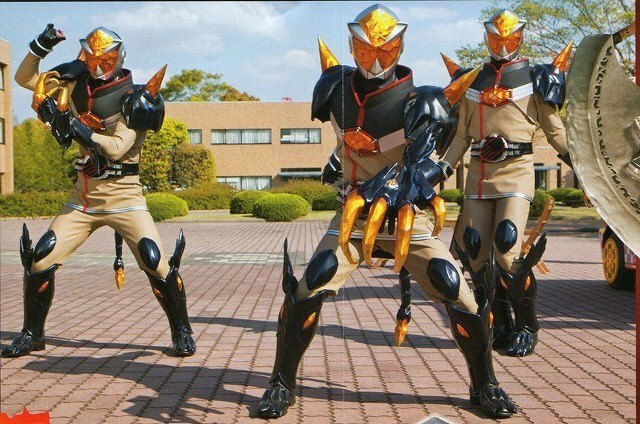 They are all equipped with a broom-shaped weapon, RideScraper, which also doubles as their mode of transportation. 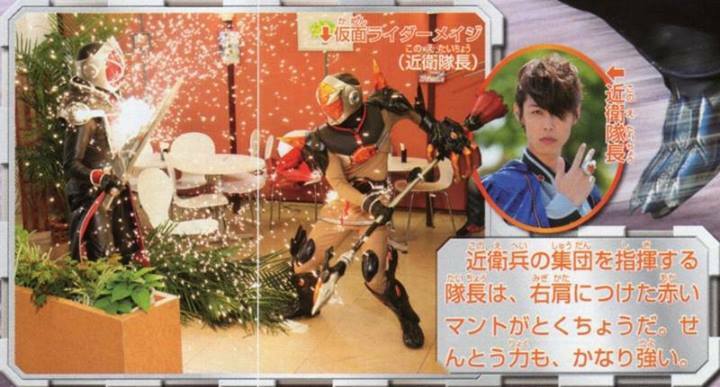 The young orphan named Shiina will help out at Wajima's shop called "Remnants" after he took him in. But in Magic Land, the shop is not an antique shop but a shop that sells Wizard Rings! 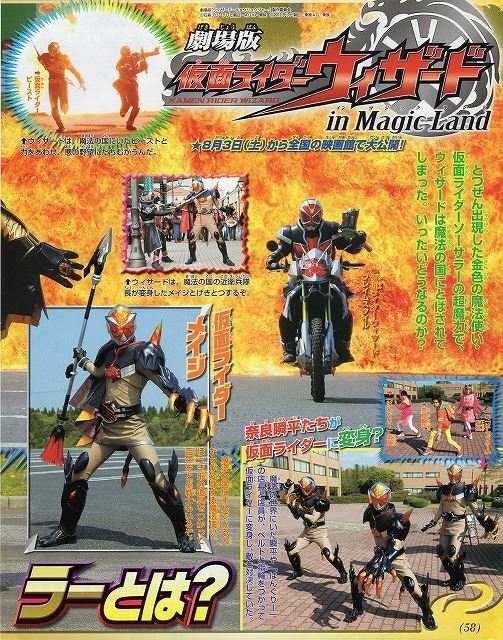 Kamen Rider Wizard In Magic Land is written by Junko Komura and directed by Shojiro Nakazawa, it will be released this August 3. 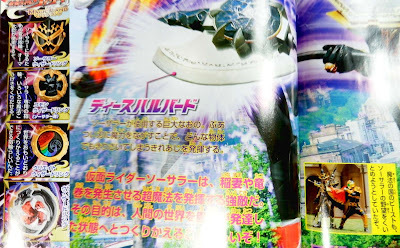 Together with the additional information on Kamen Rider Sorcerer, TV-Kun Magazine published new previews and screens for the upcoming July episodes of Kamen Rider Wizard. 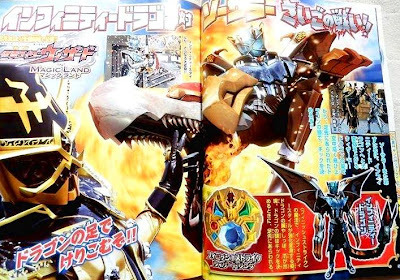 These features three new Phantoms, and the battle between Beast and the White Wizard. 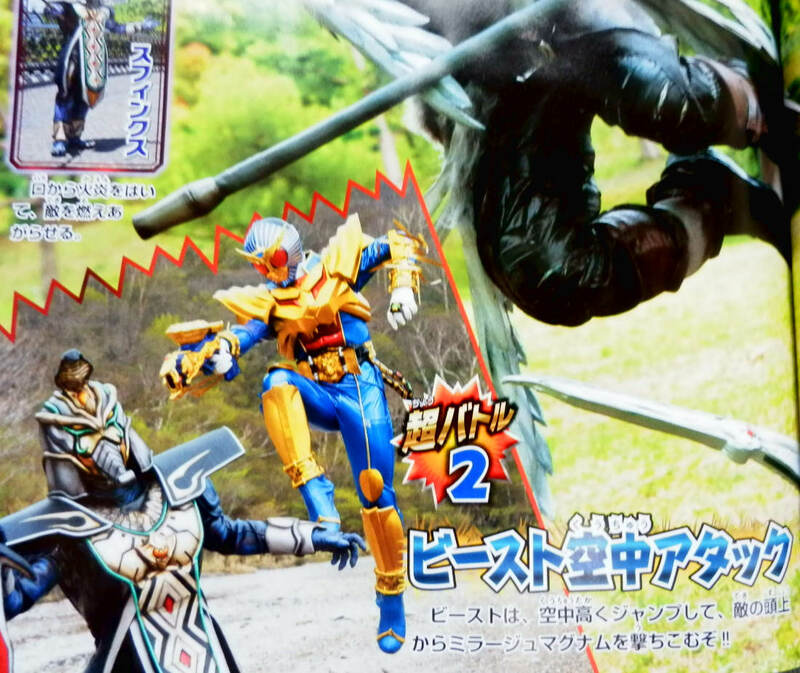 First up is the Sylphy Phantom who made his appearance in last Sunday's episode of Kamen Rider Wizard. 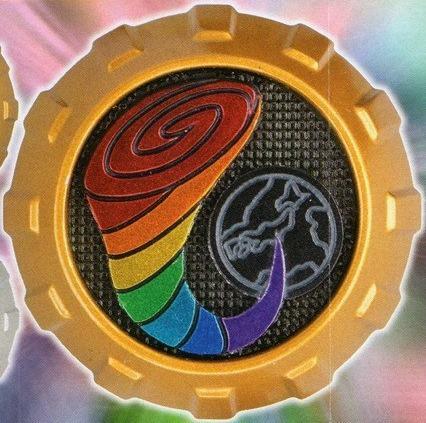 It is based on a mythological creature in the Western tradition that have the element of wind/air. 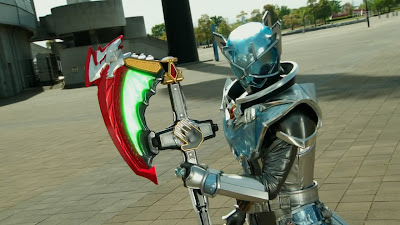 He is seen against Kamen Rider Beast. 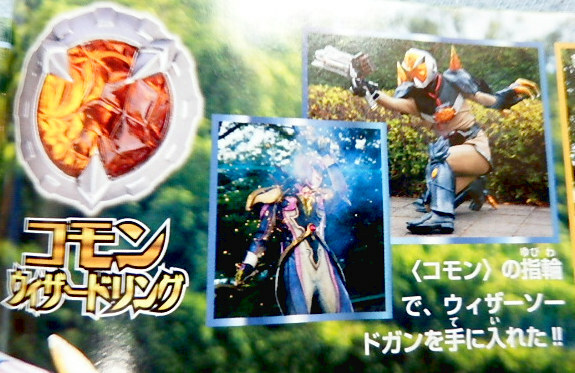 Next up is the Siren Phantom who is seen against Kamen Rider Wizard Flame Dragon. Siren was based off an early Greek representation in which they are birds with large women's heads, bird feathers and scaly feet. 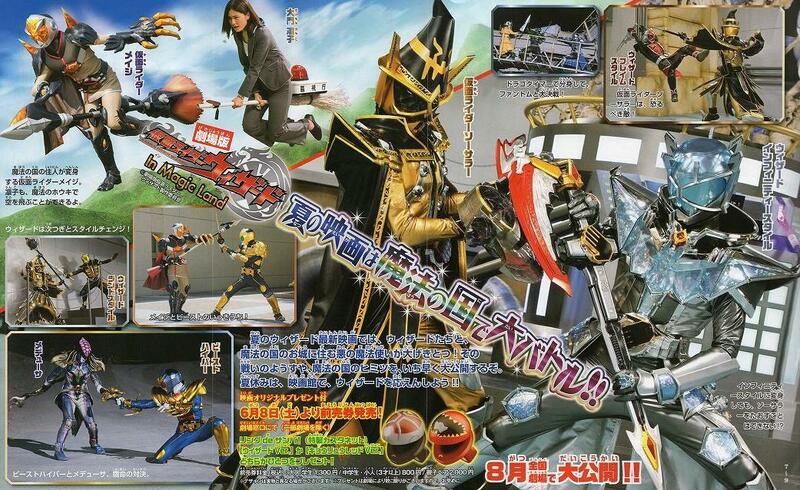 Lastly, above is the Sphinx Phantom who is seen fighting against Kamen Rider Beast Hyper. Sphinx is based off a mythical creature with the body of a lion and a human head. 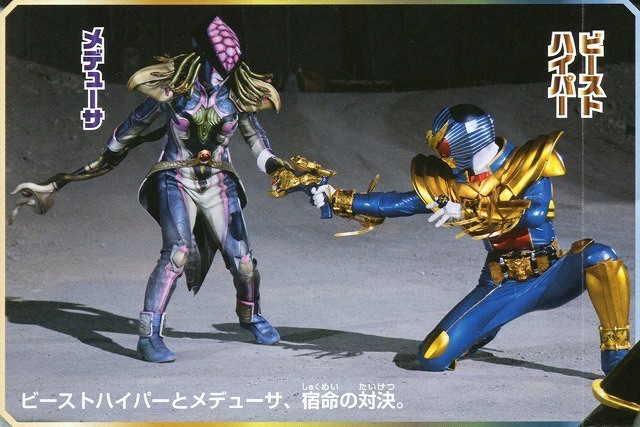 Started from the 40th episode, Mayu, as Kamen Rider Mage, continues her battle with Medusa. 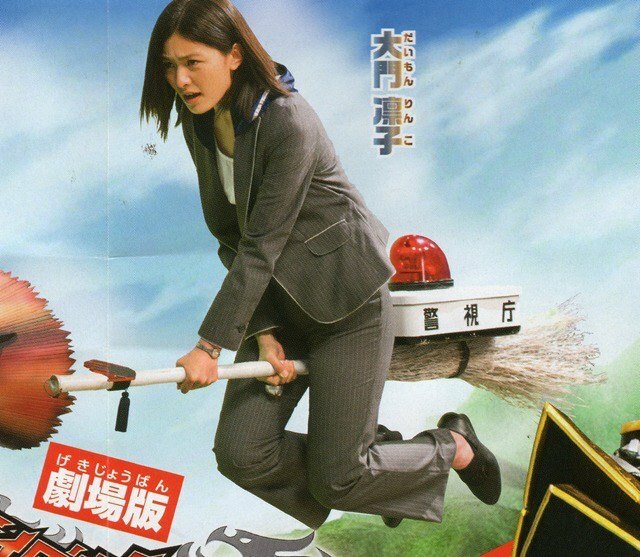 She is seen utilizing her version of the WizardSwordGun. Additionally, more images features the battle between Kamen Rider Beast and the White Wizard, who's using his personal weapon, the Hammer Cane. 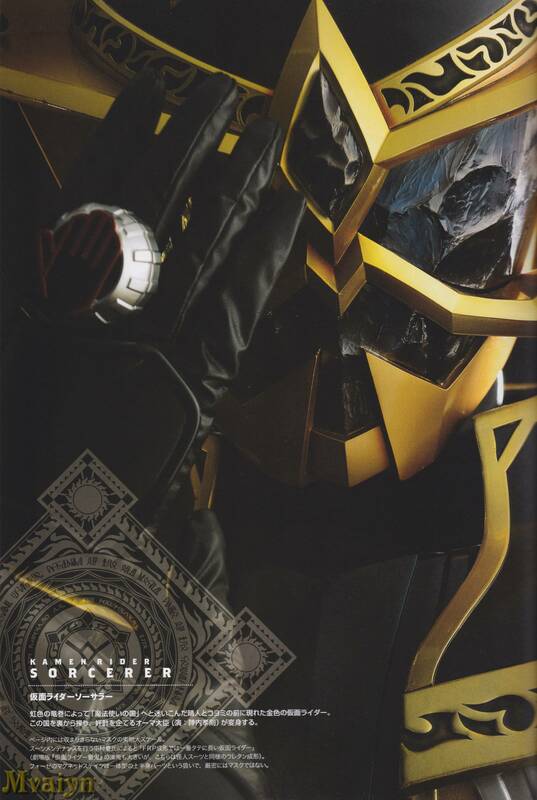 Furthermore, the magazine also published a silhouette of what it seems to be Kamen Rider Wizard's new and upcoming form. The silhouette clearly reminds us of the forgotten Kamen Rider Wizard All Dragon form, but here's the catch. 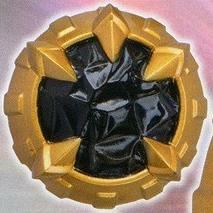 He got the head of Infinity Style. Could this form be called "Kamen Rider Wizard Infinity All Dragon"? 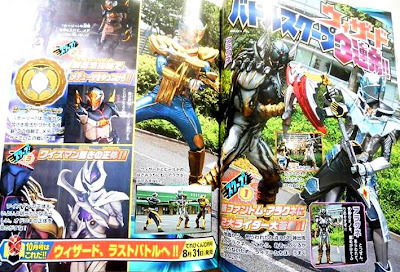 More information on this will be released on the future issues of the magazine. 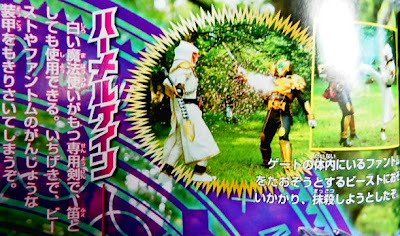 The latest issue of TV-kun magazine had published new photos for the upcoming summer film Kamen Rider Wizard In Magic Land. 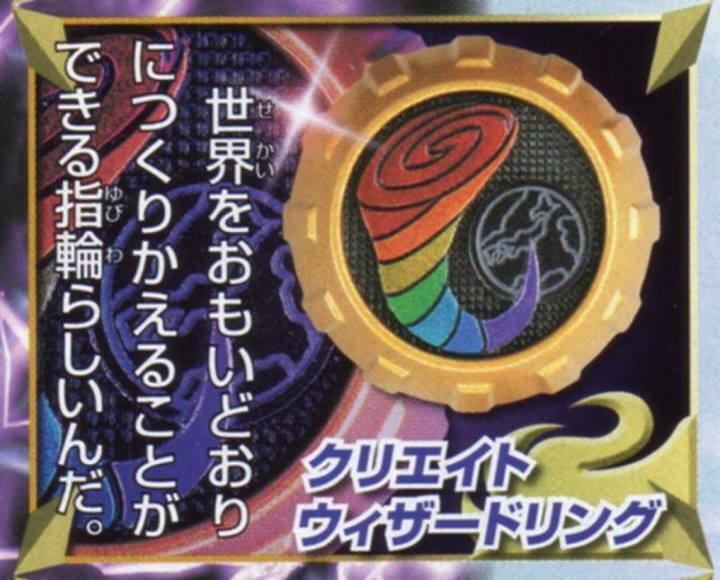 This centers around the inhabitants of Magic Land. 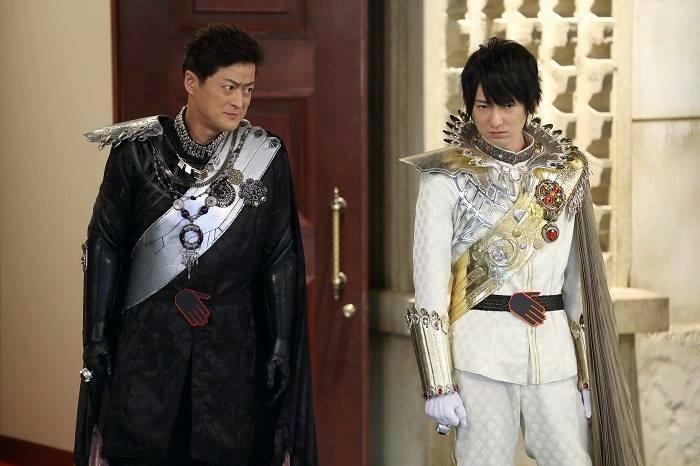 Minister Orma (Jinnai Takanori) was the previous emperor of Magic Land and now serves under Emperor Maya. 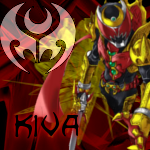 Despite his incredible loyalty to his nation, he's disgusted by Maya. 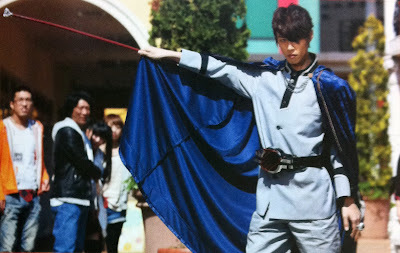 As Kamen Rider Sorcerer, he plans on recreating the world for magicians only. 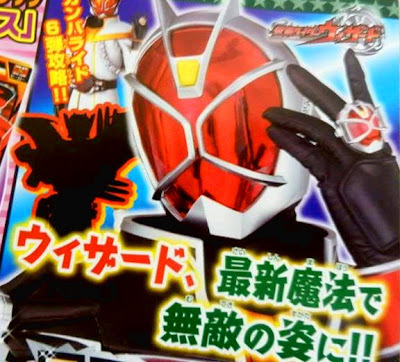 Kamen Rider Sorcerer has the following Wizard Rings in his belt: Sorcerer Ring, Create Ring, Common Ring and Final Strike Ring. 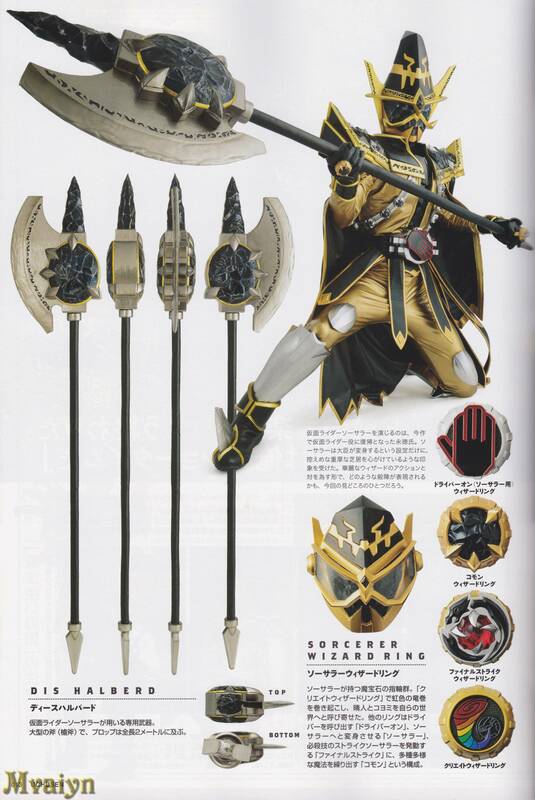 His personal weapon is the Dies Halberd. The above images shows Kamen Rider Wizard dealing with Sorcerer, who is seen using Blast (force attack), Reflect (reflective barrier) and Dupe Rings (similar to Wizard's Copy Ring). 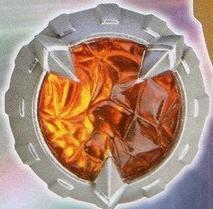 He is seen using both Flame Dragon and Infinity Styles. 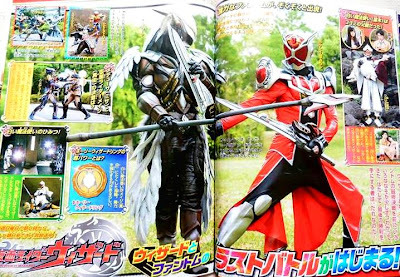 It has been revealed that Ryuuji Sainei, best known for his role as Banban/DekaRed in Tokusou Sentai Dekaranger, will be joining the film as the captain of the Imperial Guards, which can transform to Kamen Rider Mage. 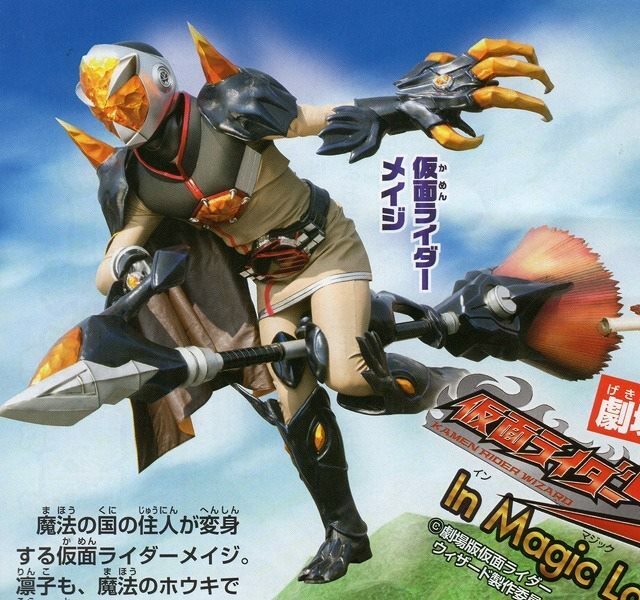 Mage's main weapon is the RideScaper, a broom-like weapon that can be used as a transportation device or a weapon. To premiere on August 3rd, Kamen Rider Wizard In Magic Land will be directed by Shojiro Nakazawa and written by Junko Komura. Kamen Rider Wizard Will Have 51 Episodes? 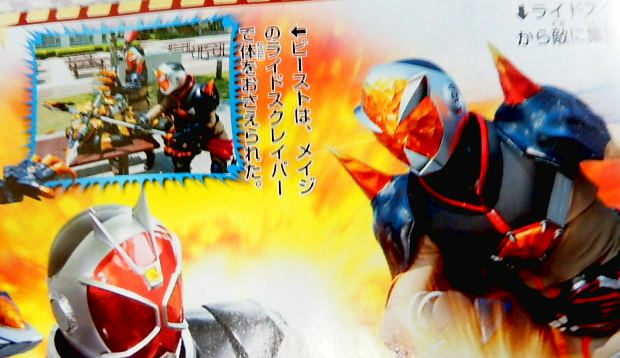 Rising Sun Tokusatsu reports that according to a source, Kamen Rider Wizard will have a total of 51 episodes. 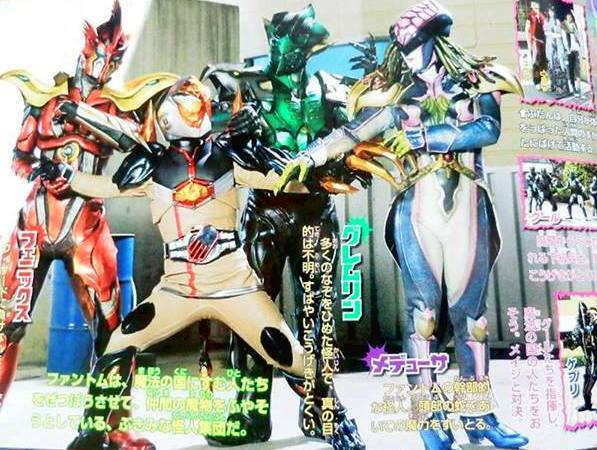 The next Kamen Rider series, Kamen Rider Gaimu was previously reported that it will start on October. 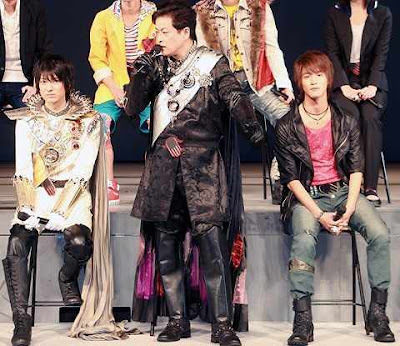 Because of this, the show is expected to end on September 8th. In addition to that, the same source also said that there are a series of specials that will air once Kamen Rider Wizard ends to fill in the Super Hero Time timeslot. 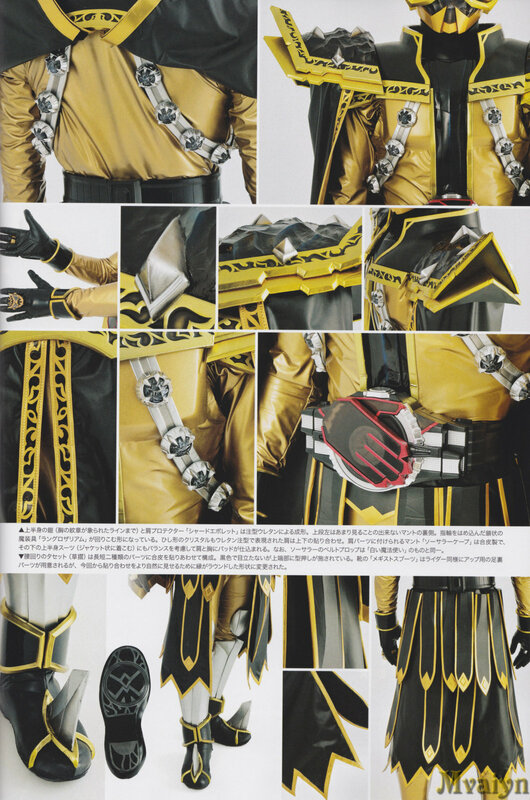 Ich frage mich wie sie die Story über 51 Folgen strecken wollen, mal ganz ehrlich Wizard hat eher eine durchschnittliche Story mit aber dafür coolen Main Rider. 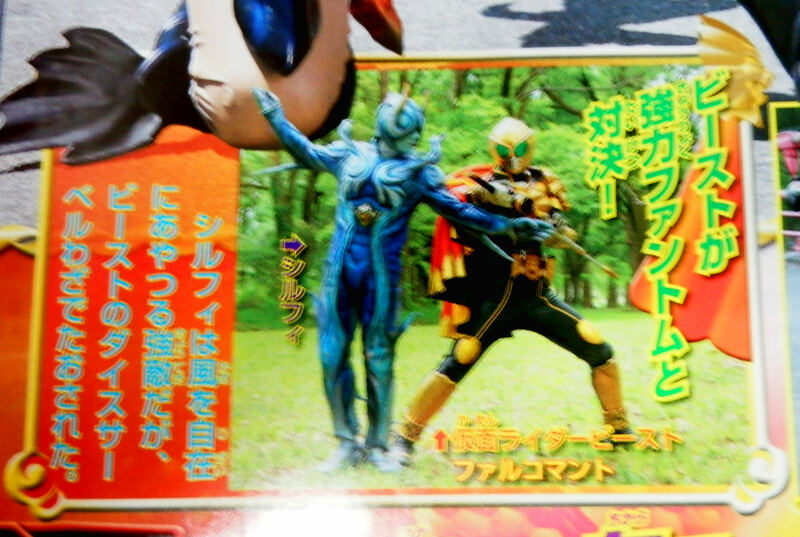 Kamen Rider Wizard Confirmed to Have at Least 51 Episodes! 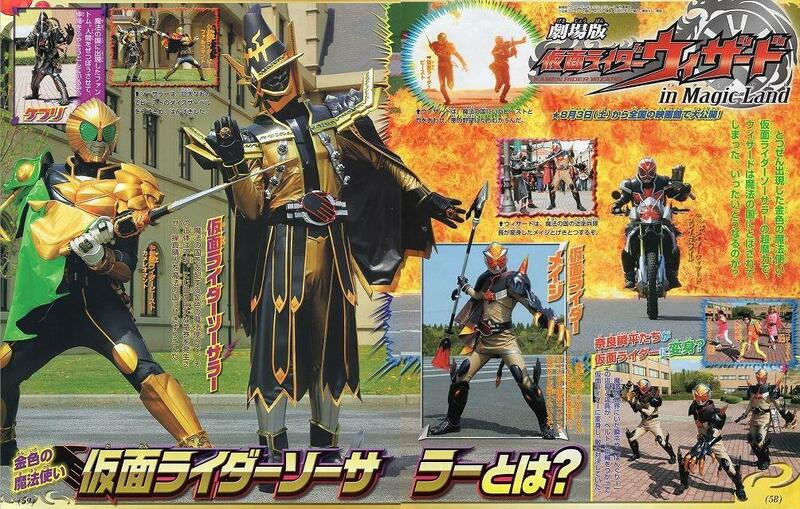 Ibaraki Film Commission posted an advertisement, looking for extras for the final 51st episode of Kamen Rider Wizard that will be aired on September 15th. 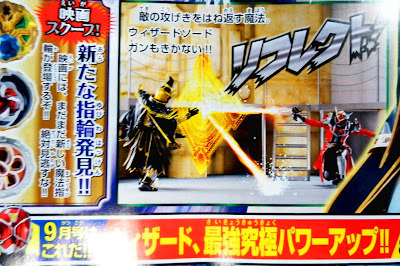 It is expected that this will be Kamen Rider Wizard's finale episode against Wiseman and his Phantoms. 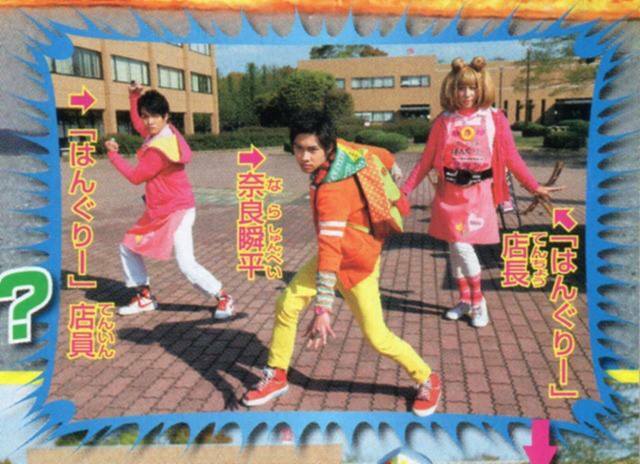 The site describes the job as "people running as they were attacked by monsters" and they are looking for anyone, as there's no limitation. Shooting day will be on July 27th, from morning 'til evening. The site also details on how you can apply. 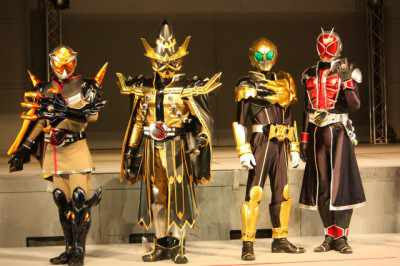 Kamen Rider Wizard will be the 2nd Heisei Kamen Rider series to have at least 51 episodes after Kamen Rider Agito. Regularly, each series end at the 48th to the 50th episode. 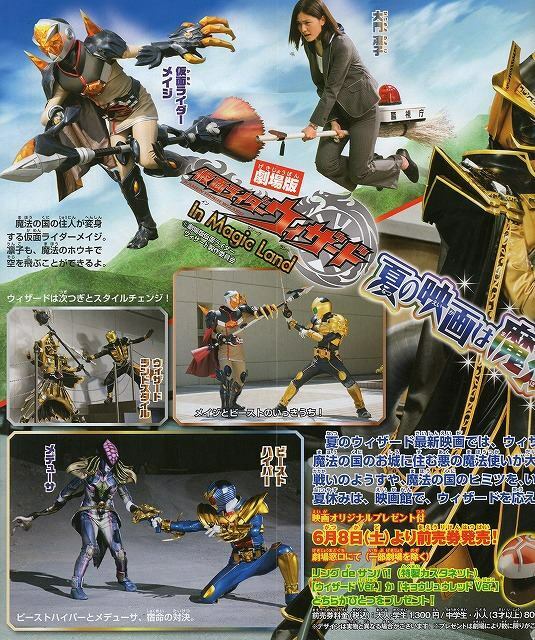 Meanwhile, Kamen Rider Gaimu is expected to premiere by October. 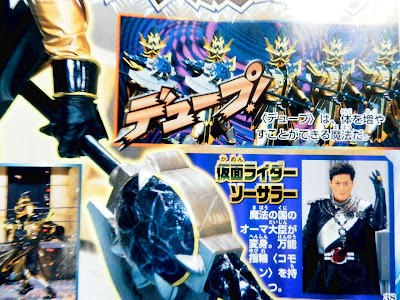 Twitter user @HigeoyaG.R, who is said to be a producer or staff of Kamen Rider Wizard, tweeted that after Wizard defeats the White Wizard, a Black Wizard will come after, and will appear later this year. 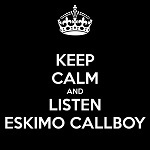 The legitimacy of this information is yet to be confirmed. 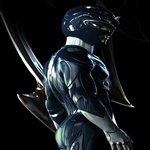 Please take these rumors with a grain of salt! 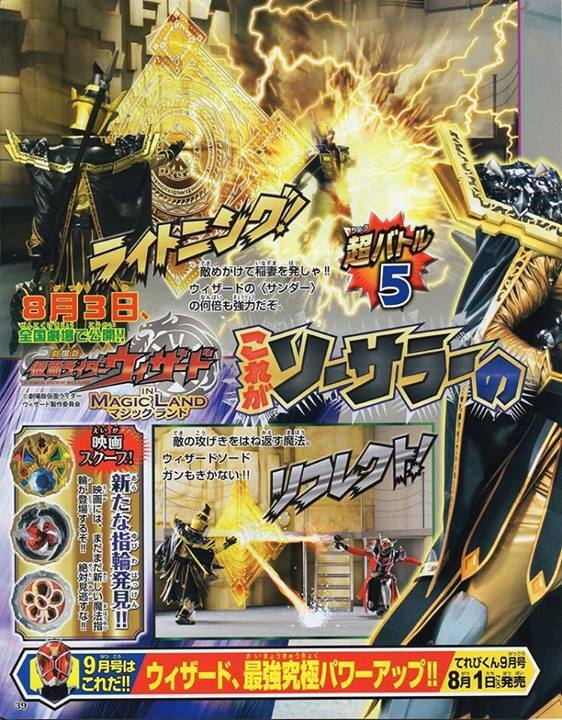 It has been confirmed that Kamen Rider Wizard will have at least or end at the 51st episode, which is said to be airing on September 15th. Filming for the said episode will be on July 27th. 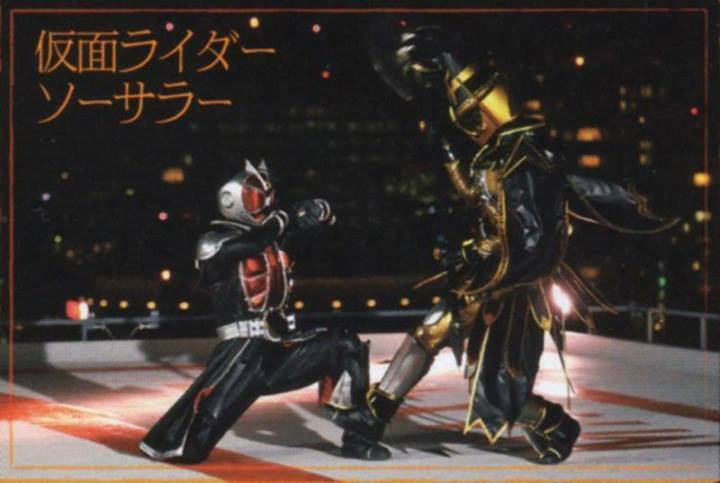 This will be the 2nd Heisei Kamen Rider series to have at least 51 episodes after Kamen Rider Agito. New episode summaries for the coming weeks of Kamen Rider Wizard have been published on the latest issue of a Japanese magazine. The episode will revolve around a few more revelations on Koyomi's identity and another involvement of a Gate. 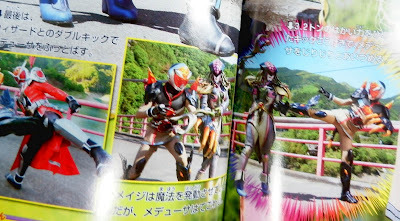 Haruto must split his attention on saving Kumagai from Siren while they try to find a toy for his son and revealing what he knows about Koyomi's past. 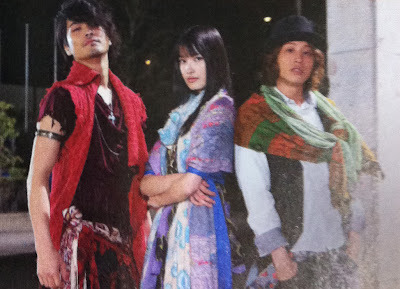 Meanwhile, Koyomi's time is running out. 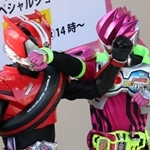 Haruto tries to heal using the ring but it seems it doesn't work. 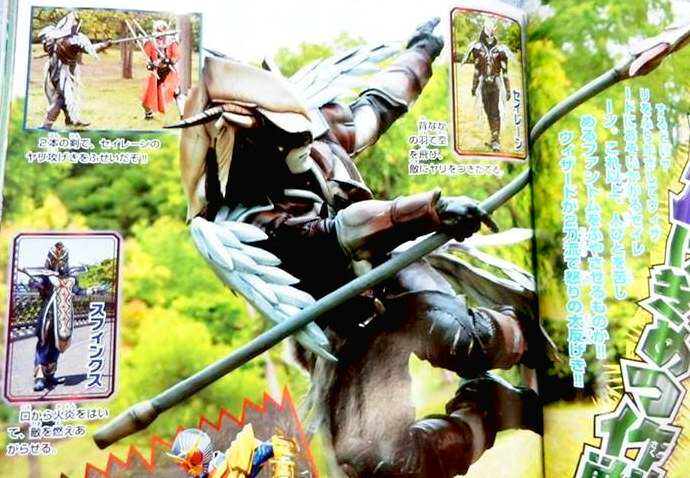 Haruto is walking down the street and meets another Gate, then encounters the Gremlin Phantom Sora. 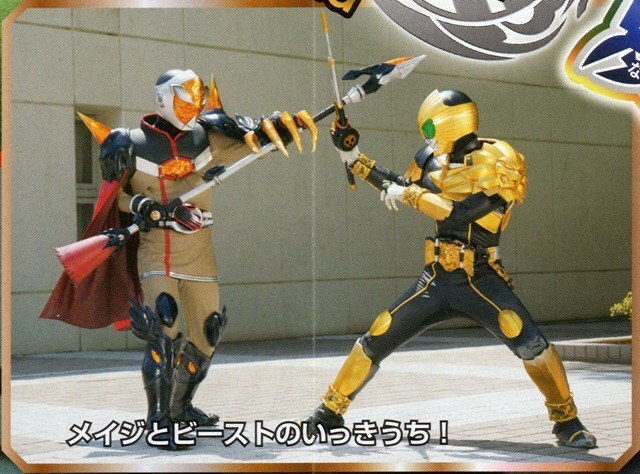 It seems like Sora knows something about Koyomi that Haruto is still not aware of. 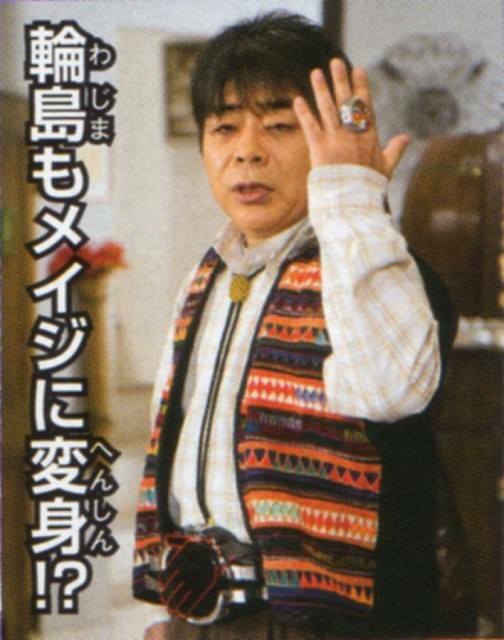 Yamamoto's wife is about to give birth soon but cannot reach her mobile phone. He is slowly getting into despair if he cannot see the child is born. 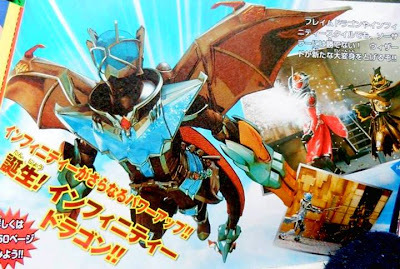 As teased last month, here's our first look at Kamen Rider Wizard Infinity Dragon that will debut in the upcoming summer film Kamen Rider Wizard In Magic Land. 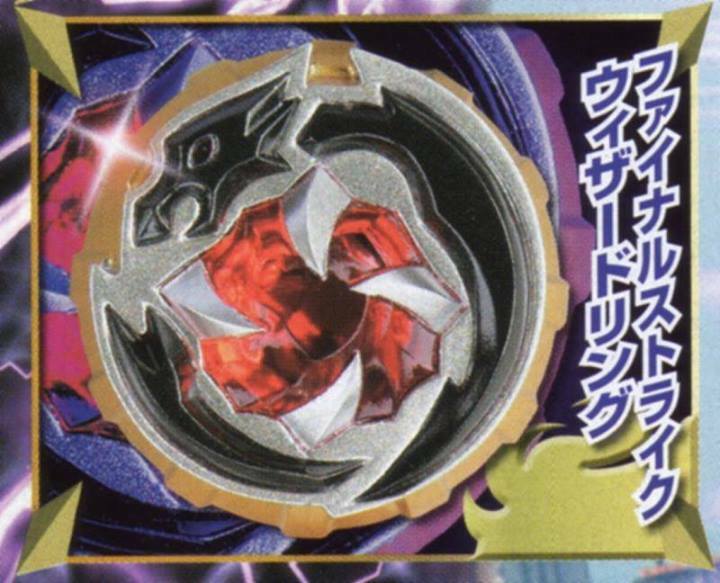 The form can be accessed via the Finish Strike Wizard Ring. 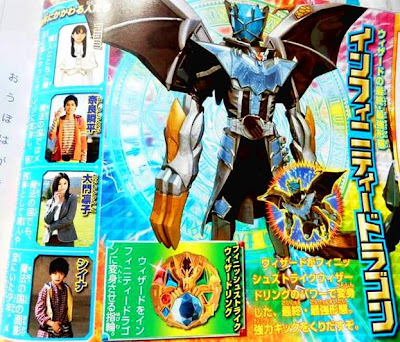 The Kamen Rider Wizard Infinity Dragon style grants Wizard the WizarDragon's claws, wings and tail, similar to that of All Dragon minus the head on his chest. The "head" will then be acquired once Kamen Rider Wizard use his finishing move. 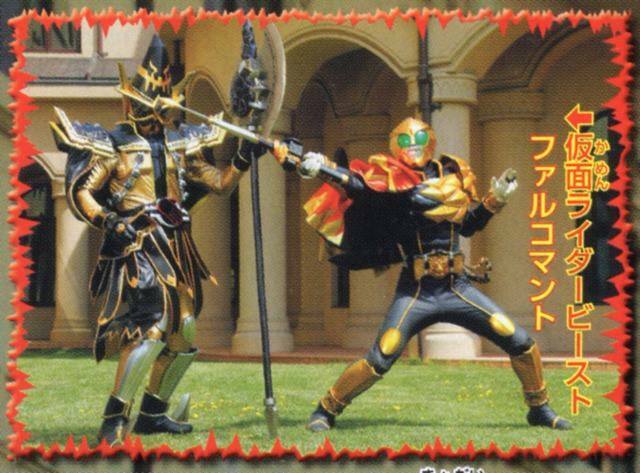 The film's guest stars, Ryuuji Sainei and Takanori Jinnai as Kamen Rider Mage and Sorcerer, respectively. 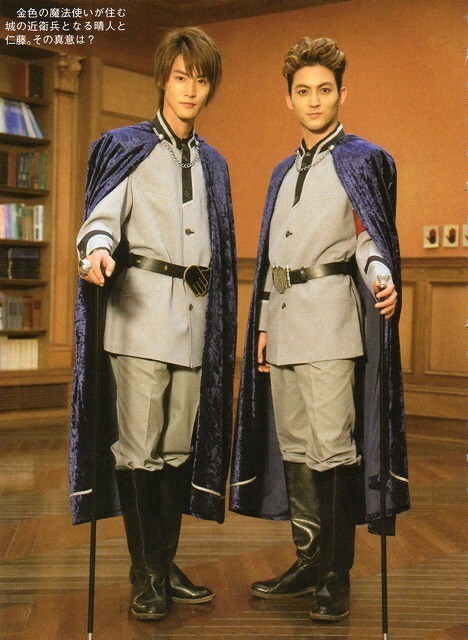 Seinei will play as the captain of the Imperial Guards, while Kamen Rider Sorcerer is Minister Orma, the previous emperor of Magic Land and plans on recreating the world for magicians only. 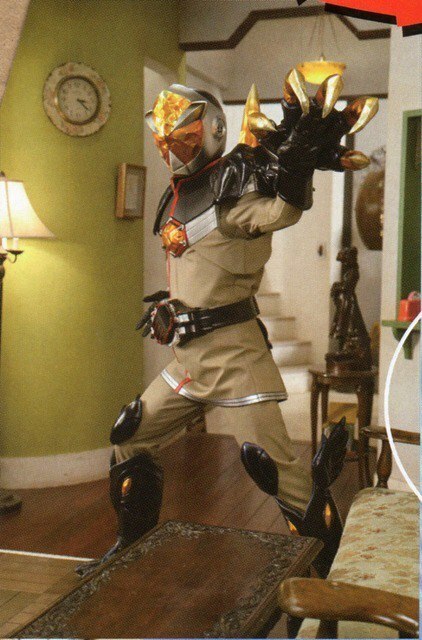 Since "In Magic Land" took place in a different dimension, the Phoenix Phantom is alive and still kicking here. 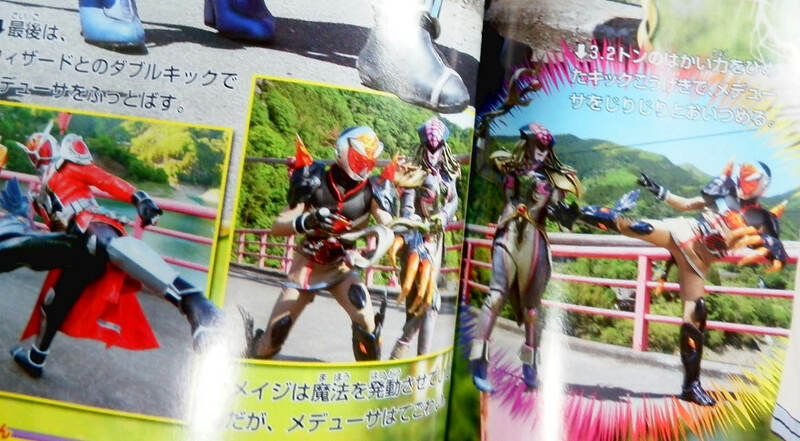 He is seen having an alliance with Medusa and Gremlin Phantoms against Kamen Rider Wizard. 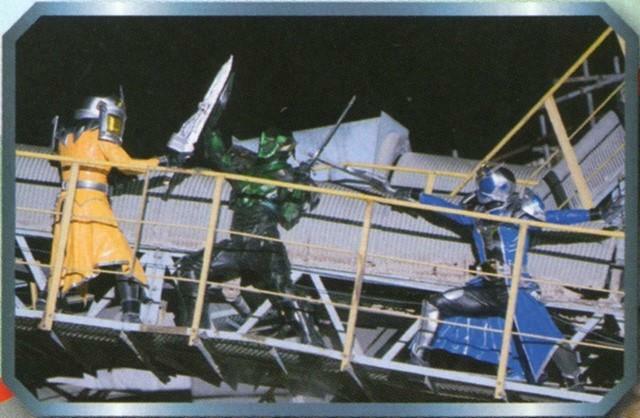 In the photo, they are seen fighting against Shiina, an orphan who's currently residing at Wajima's place. 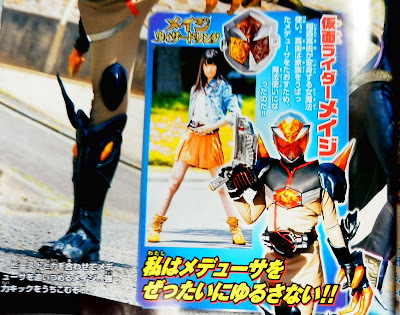 Shiina can also transform to Kamen Rider Mage. 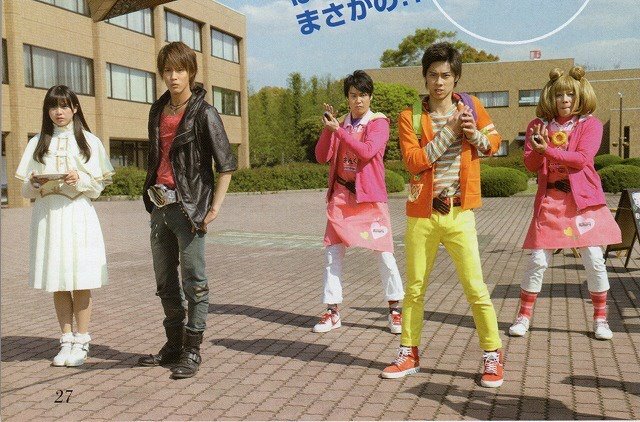 What's the film without some Kamen Rider Beast action?! 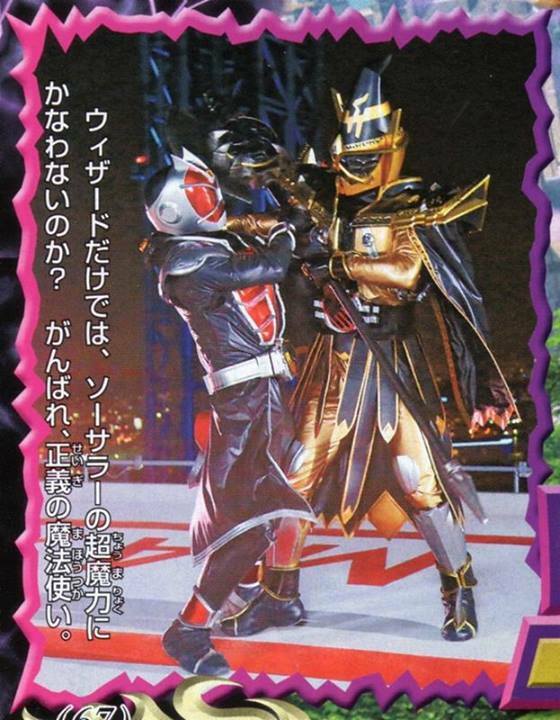 Here, he is seen fighting up against Kamen Rider Mage. 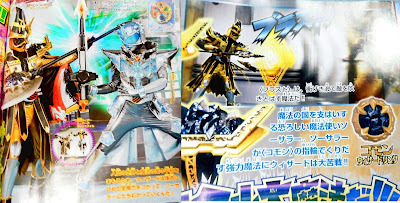 This month on Kamen Rider Wizard, we'll get to know a little more about Koyomi's identity, but what about the real purpose of the White Wizard? 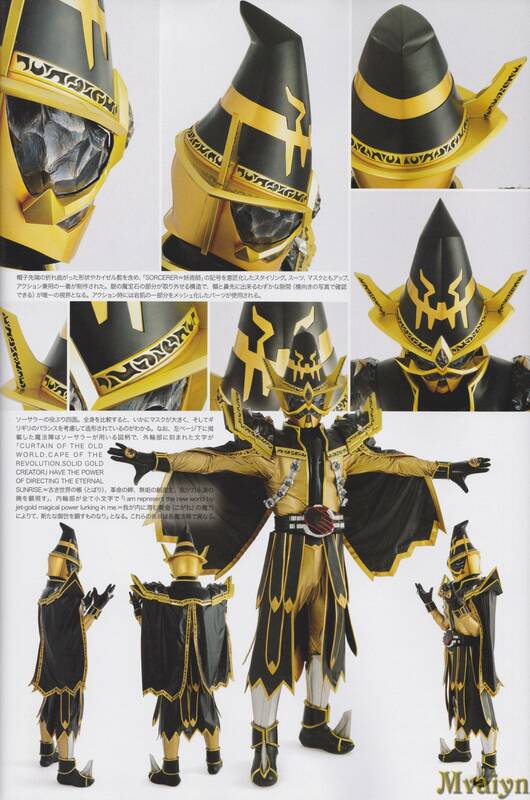 And who really is Wiseman? Though we don't know what will happen, it is expected that we'll get the truth since Wizard will be ending in six week. 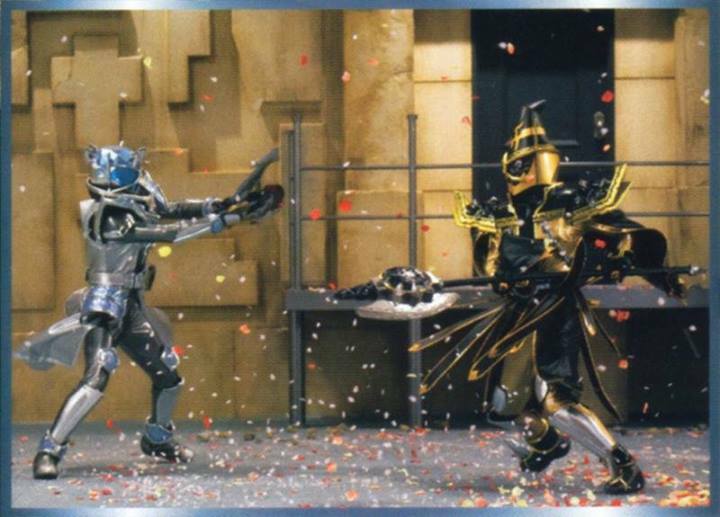 First up is the battle between Kamen Rider Wizard and Beast against White Wizard's Mages. With the amount of strength and power White Wizard has, will the two of them defeat him? 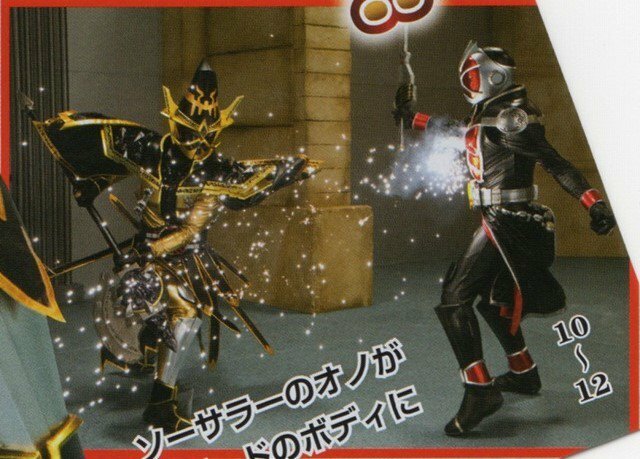 Continuing from last week's episode, Kamen Rider Wizard takes on the Siren Phantom. 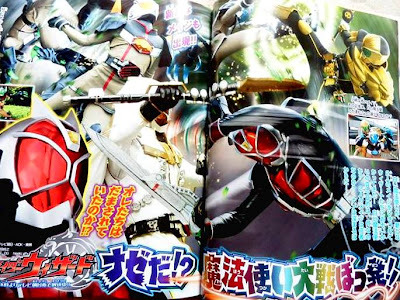 Haruto must split his attention on saving Kumagai from Siren while they try to find a toy for his son and revealing what he knows about Koyomi's past. Meanwhile, Koyomi's time is running out. 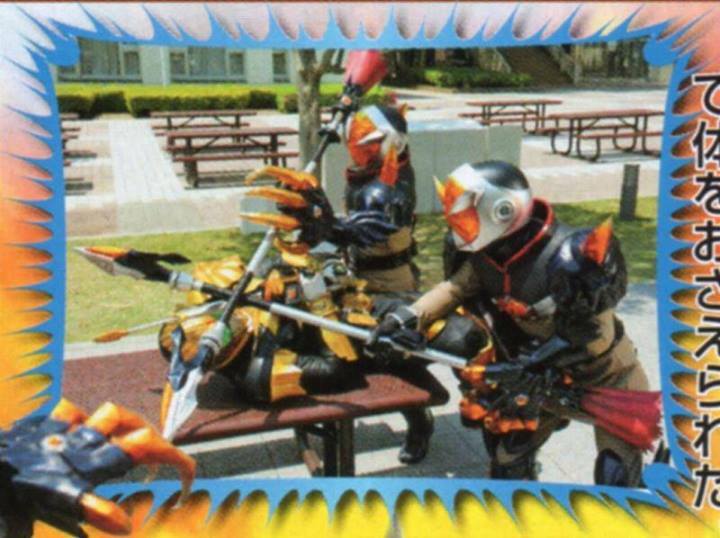 Haruto tries to heal using the ring but it seems it doesn't work. 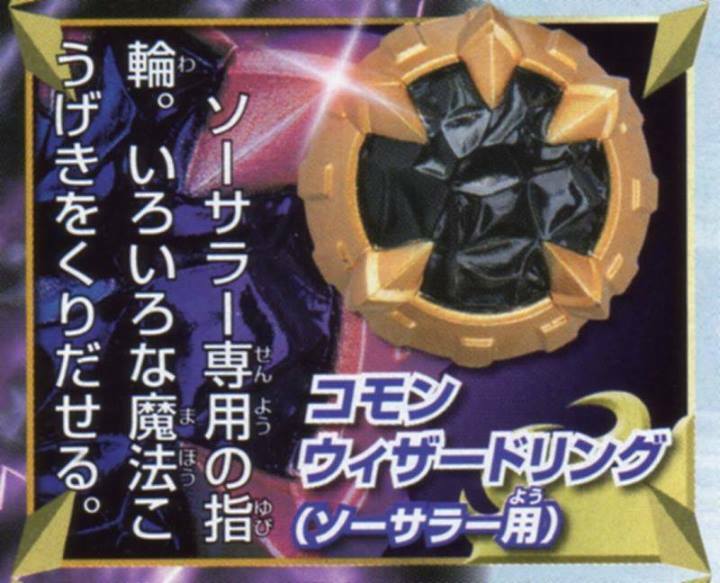 After Siren, the next villain to appear is the Arachne Phantom. Based from the Greco-Roman mythology, Arachne was a great mortal weaver who boasted that her skill was greater than that of Athena, challenges her and ended up losing and became a spider. 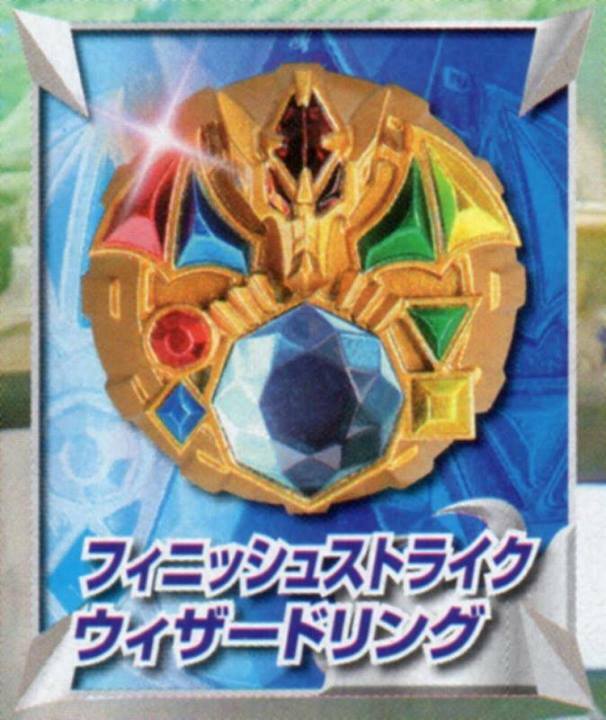 A Holy Wizard Ring will be used in one of the August episodes. 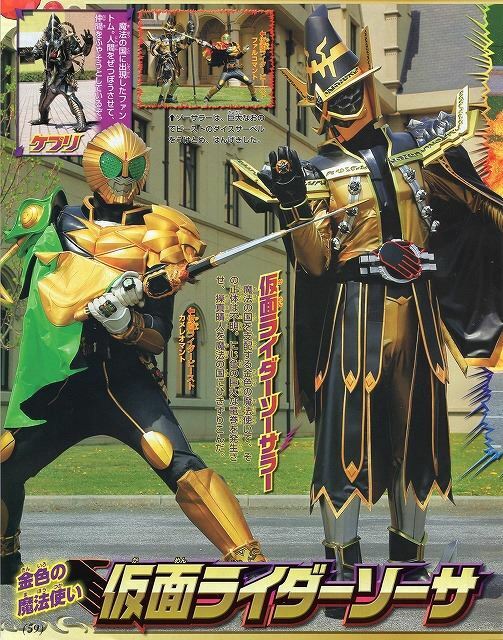 Lastly, titles for the August episodes of Kamen Rider Wizard had been published. 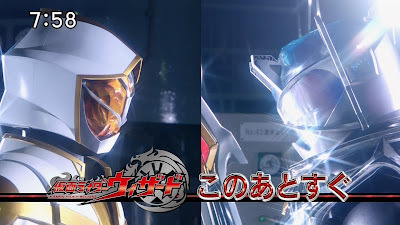 Possibly Koyomi's past utterly revealed in "Episode 46: Shattered Memory" (08/04), the identity of Wiseman in "Episode 47: Wiseman's Truth" (08/11) and the use of the mysterious magic stone in "Episode 47: Philosopher's Stone" (08/18). Kamen Rider Wizard hat uns nun endlich den twist gegeben den wir alle seid mindestens 30 Folgen haben kommen sehen. Erst ist die eigentliche Identität von White Wizard ne mega Enttäuschung und jetz auch noch das. Der Reveal wurde nichtmal irgendwie spektakulär aufgezogen als ob es der Serie selber langsam zu nervig wurde. Hoffe jetzt das die zeit bis Gaim schnell rum geht denn egal was man von der Serie halten mag sie scheint immerhin irgend ne Form von leben in sich zu haben. 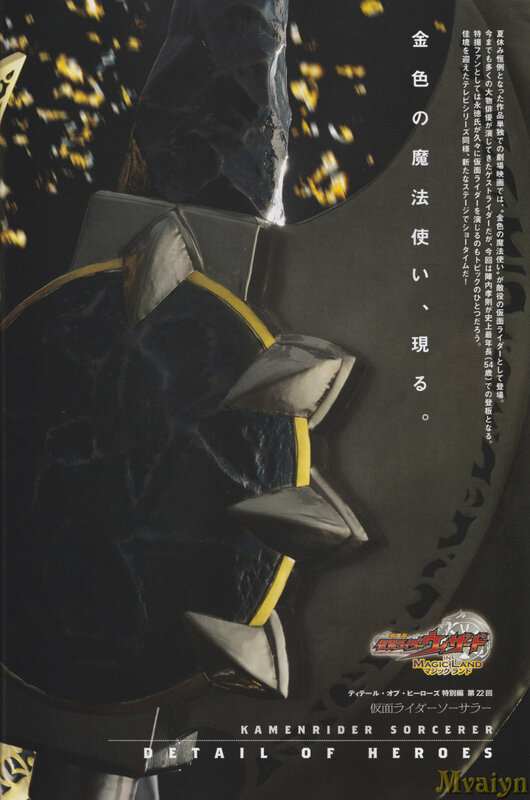 Das Wiseman und Fueki ein und der selbe sind war aber der folge klar wo haruto den Stein für die Land dragon form bekommen hatte. Ja, aber da war man sich noch nicht sicher. Die Serien laufen manchmal anders ab als Gedacht. Wie z.b. bei Fourze, wo man dachte Meteor besiegt Ares, kam es anders. 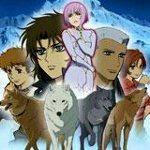 Naja da hat man gesehn wie sich Wiseman den Stein aus der Brust zieht..und plötzlich tauch der cerberos Faliiar auf und zeigt Koyomi den eingan zur höhle wo sie selbigen findet..... da war es schon klar. Okay das er sich den Stein rauszieht kann ich mich nicht daran erinnern.